How much time do you spend in the car each week? If you’re like most people, you rack up over 15 hours behind the wheel. That calculates to roughly 10% of your life! How much time do you spend in the car each week? If you’re like most people, you rack up over 15 hours behind the wheel. That calculates to roughly 10% of your life! If you find that your home away from home is being overrun by stray CDs, art supplies and sports equipment, that you’re embarrassed to have people look in your windows or that you can’t face another holiday travel season in a cluttered car, here are some great products to help you get—and stay—organized. Note: Unless otherwise indicated, products can be purchased at Auto Zone and other auto supply retailers, www.organizeyourride.com, www.containerstore.com and www.stacksandstacks.com. The front seat area should hold all of the items to assist you as a driver, such as important documents, your cell phone, writing utensils, CDs, and personal care items. If you’ve ever found yourself reaching for something on the floor of the passenger side at 65 miles per hour, you’ll love the following products that will keep these items at your fingertips. Purpose: To keep your insurance card, registration and other important vehicle documents together so you don’t have to hunt through a stuffed-full glove box. Purpose: To keep everything from documents to CDs to your sunglasses at your fingertips. Purpose: To rein in the clutter that gathers on the front seat. Front seat organizers are available in a variety of sizes and configurations to suit virtually every storage need. Purpose: To provide additional outlets for cell phone chargers and portable electronics. The back seat is multi-functional: If you’re a family with children, the backseat is your playroom on wheels. If you’re single or married with no children, you might occasionally have passengers, but you’re more likely to use this area to hold groceries or shopping bags. Regardless of your demographic, these products will help keep everything from DVDs to dry cleaning under control. Purpose: To keep everything from umbrellas to kids’ art supplies contained and accessible. Purpose: To keep coloring books, crayons and markers within arms reach and to provide a desktop for creating on the road. Purpose: To keep the DVD player from sliding around the back seat and in plain view of everyone watching. Purpose: To expand hanging capacity for longer trips or big pick-ups from the dry cleaners. Purpose: To keep your purse or grocery bags upright so you don’t lose contents all over the floor. Purpose: To keep CDs and DVDs stored in one place. Purpose: To help you avoid creating a landfill on the floor of the backseat or in the side pockets of the doors. The trunk is the car’s storage closet. If your trunk is full of stuff that you’ve thrown in because there was nowhere else to put it, If you are tired of gallons of milk tipping over and leaking on the way home from the grocery store, if you have enough sports equipment to outfit your own soccer team but can never find the shin guards, if your jumper cables are buried or hopelessly tangled, these products will help you rein it all in and keep it together. Purpose: To create containment for the stuff that rolls around in the trunk: balls, jumper cables, etc. Where to get one: One of my favorite carriers is available at www.stacksandstacks.com. Purpose: To hold luggage or large gear on top of the car when there’s no more room inside. These collapsible carriers are fantastic if you don’t have room to store a hard-top carrier. Purpose: To provide a simple storage solution for everything from sports equipment to groceries. Purpose: To provide structured storage for trunk and storage area contents. Purpose: To carry travel incidentals from a first-aid kit to snacks to extra T-shirts for the kids. How to make one: Visit http://www.todaysmama.com/expand-articles.php?view=353 for an article on how to create a stow-and-go for your family. Spring has sprung, and along with planting flowers and enjoying warmer weather, it’s time for another favorite: shopping! Here are some great tips that will make updating your wardrobe easier before you even step foot inside a department store, while you’re shopping, and after you get everything home. Welcome to National Get Organized Month 2007! If, as you look around your home or office, you find yourself trying to manage the incoming tidal wave of stuff from the holiday season or the residual stuff from the entire year and are muttering, “I need to get organized,” you have come to the right place. I hope as we near the end of the year that you’ve enjoyed a year of organizing success! As we approach the holiday gift-giving season, I want to round out the year by sharing three gifts of organizing and offer some tips for a simpler, more organized holiday season. 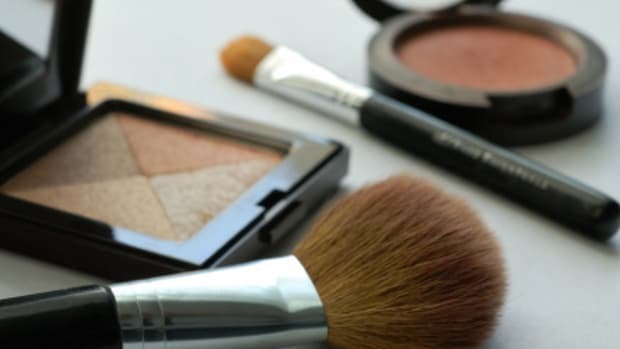 If you spend more time looking for your makeup than applying it; if your makeup bag is less a cosmetics bag than an archaeological dig; if you are drowning in all those great bonus gifts, it’s time for some makeup maintenance. You have a budding artist—or two or three. The front of your fridge is plastered with images ranging from your 2-year-old’s first scribbles (on paper) to your kindergartner’s abstract macaroni cow to your second-grader’s ever-evolving and oh-so-prolific attempts at Dracula and his happy pet bats.